Hello! 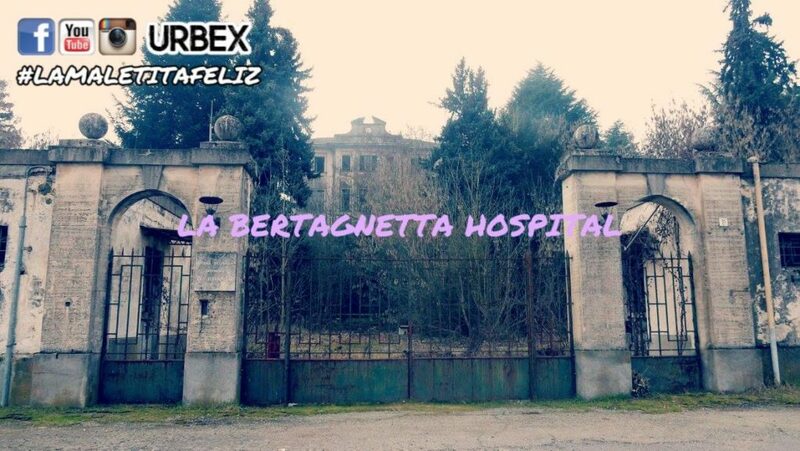 In this exploration I take you to the Hospital Bertagnetta, an abandoned pneumological hospital. This abandoned pneumological hospital was built between the end of the 19th century and the beginning of the 20th century. Ironically, it has the roof completely made of eternity. The former guardroom has long since become a repository for old furniture or hospital equipment all piled up and left there to take dust or rust. The garden, once the pride of the place, has become a very intricate forest, but fortunately the entrance is accessible via a path that at its end takes you in front of an impressive 4-storey Art Nouveau building topped by a clock which marks 10.40 which can not be accessed because the escalator leading to the aforementioned has been torn apart by some vandals. Entering the same scenario of the guardhouse is repeated: furniture and furnishings piled on the right, while the altar of the chapel is still present on the bottom together with the colored windows of yellow and blue. The windows of the ground floor are all covered with a fabric embossed as a tent, which is not present in the other floors. The place is very creepy, especially its basement, where there is still the table used for washing and autopsy of corpses: who knows how many have been supported above. It is considered the most haunted place in Vercelli and various legends are handed down, among which the prisoner souls can touch visitors or speak. But returning to the historical facts, the hospital was closed in the 90s when the new hospital in the city center was inaugurated, in 1995 it hosted Rwandan perfumes and when they were transferred the following year it fell into a total state of neglect. It should have been turned into a facility for the elderly, the region allocated 5 billion of the old lire but the company involved escaped with 10% of the deposit leaving the work incomplete. 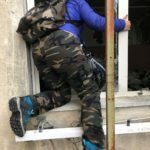 To enter the La Bertagnetta Hospital it is necessary to climb over a wall and cross a network. Since there is a police station nearby, try not to attract attention.